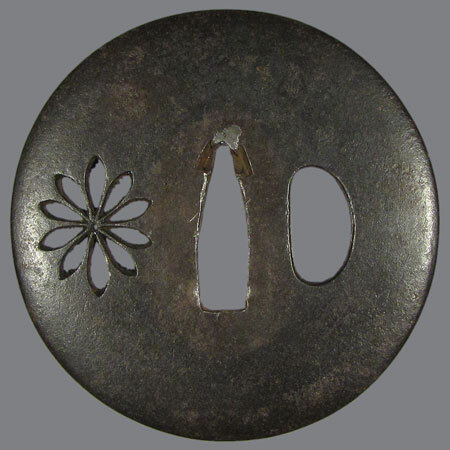 Goishi tsuba with small cut decor in shape of negative picture of chrysanthemum flower. Chrysanthemum, native plant of China, brought over to Japan during the Nara period. 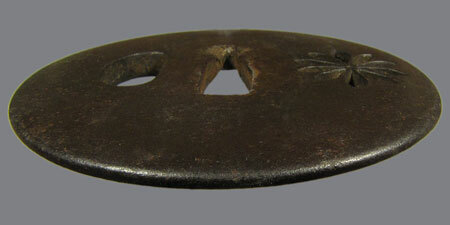 At early stage it was above all the symbol of longevity. Later on, it has become one of the typical autumn plants in Japan, and many new varieties have been invented during the Edo period. 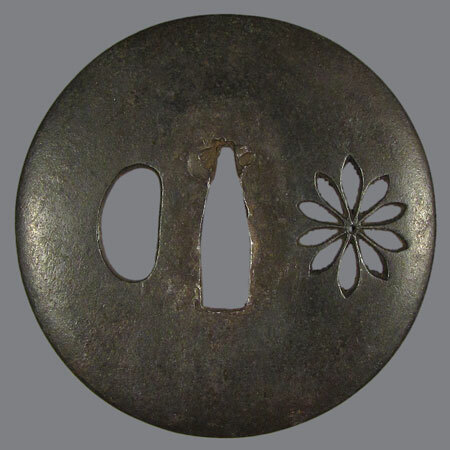 In the beginning of the Meiji era the 16-petalled chrysanthemum become the crest of the Imperial Family of Japan. 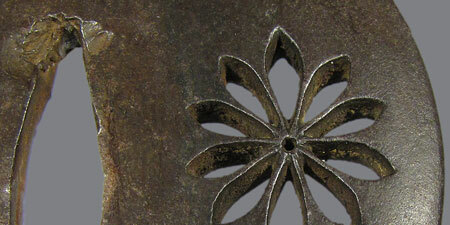 However, the court had been using this flower as a decorative motif since as early as the 12th century. Maru Gata, maru mimi; 8,9 х 8,8 x 0,5-0,1 cm.